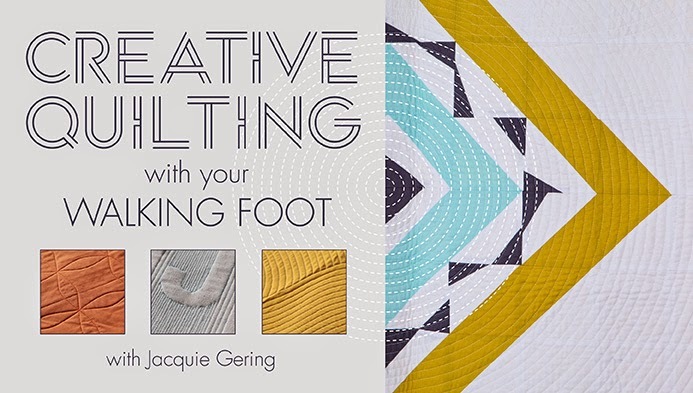 I get lots of questions about quilting with the walking foot. 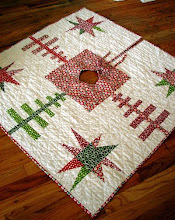 I love straight line quilting because of the clean, modern feel it gives a quilt and so I do it a lot. 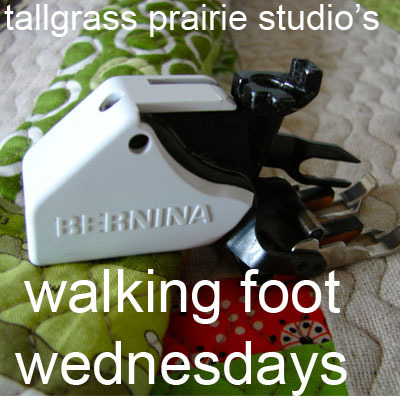 A long time ago I did a post called Straight Line Quilting Hints and Tips which is a good introduction to quilting with a walking foot, but since then I've learned so much more and I'd like to share what I've learned in a new series of posts I'm calling "Walking Foot Wednesdays." What is a walking foot? How does it work? How does the design and the features of your walking foot support you as a quilter? How do I set up my quilting space to create a successful quilting experience. What about stitch length? Does it matter? How do I start and stop? Where do I begin? What is the best way to move your quilt through a home sewing machine? How do I manage a small throat space? Should I roll my quilt and clip it? What will give me the best results? How to channel quilting and grid quilt without going crazy. (well, maybe a little bit crazy!) What are some creative options for those types of quilting? What are some options for going outside of the box with straight line quilting? What are some tips to help succeed with more intricate designs. If you love straight line quilting and want to really get your line on, this type of quilting is amazing and totally achievable on your home sewing machine. 7. Getting Your Curve On! Yes, a walking foot can do curves. 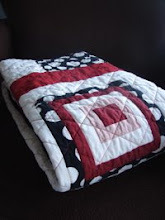 Explore some ideas for simple curved quilting. Yes we can. Your walking foot has lots of curvy potential. Don't forget about the decorative stitches on your computerized machine. 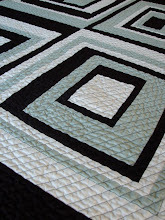 I'll share settings and some fun options for decorative quilting for a modern look. Have you ever thought about machine tied quilts? Are there creative options that might work to tie quilts in a new way? I'm not quite ready to start, but I thought I'd share the idea and see what you thought. Feel free to grab the button from my sidebar. I'll try to have a button code for you by next week. 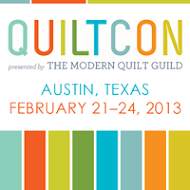 Don't forget that the "Quilting Modern" blog blast weekend starts on Friday. Be sure to drop by to get the scoop and enjoy a full weekend party celebrating the book. Katie and I will kick it off with tours of our sewing studios and some hints for working in small spaces and creative storage ideas. Oh and the winner!!! Jennifer Lowe...it's you! Send me your contact info and I'll get Quilt Trends off to you ASAP! Congratulations!! I am so excited about this! 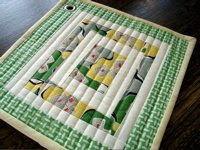 Having been a hand quilter for almost 12 years I am soooo ready to learn to machine quilt. I have quilted a few very small items with my walking foot and I actually use a walking foot for the entire purse making process because of the bulk. This is awesome. Look forward to it. Thank you! This sounds like a really valuable series! Please start soon! oh I'm so excited to see this! What a great idea!! Thank you for your willingness to share your knowledge on the subject! They say if you want to learn from who you think is the best. So I am in if you do it! Don't forget about basting. I know lots of people complain about puckers with grid quilting and really good basting pretty much solves that problem. Great idea. I am fairly comfortable with my straight line quilting skills, but since I am self taught I know that there are probably things that I don't do the "right" way and plenty of things I could do better. I am looking forward to this! I'm a free-motion quilter, mainly because I don't have a walking foot. Can't wait to hear all the great things you know! My garment practical sewing machine cant use a walking foot, but I think I'd love to read this series anyway, it sounds like there would be a lot of useful information. Excellent!! I love my walking foot, and I'm excited to read up on ways to use it I haven't thought of! I'm so glad you've thought to do this. I'd be thrilled with this! Wonder if you know anything about maintenance-like, do they need oiling? I have an older Bernina & my walking foot has developed a horrible squeaky sound & sometimes starts jumping right up off the fabric. Our local Bernina tech charges quite a bit to work on a walking foot, don't know if there is anything I can do, whether it is worth it, or whether I should just buy a new one. Any thoughts? Sounds like an amazing series! I'm going to learn so much! Oh, how exciting! I love quilting with my walking foot and am looking forward to learning new tricks!!! I need this!! I quilt, but could use any and all tips. Thanks! Sounds like a great series of posts. Walking Foot Wednesday is a fabulous idea. Any tips to improve my stitching or to be more creative is appreciated!! I love your idea of Walking Foot Wednesday. I'm always looking for more quilting info to give me courage. As a great topper who struggles to get tops quilted, I know it's just a matter of doing doing doing. Just hard to start start start. Excited for this series to start! Thanks! Wednesdays just got even better! This is going to be so helpful for me I can't wait! This sounds like a great series! 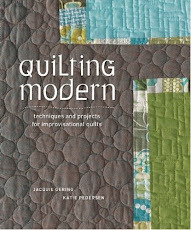 I'm looking forward to advice from someone whose quilting I love! Yes, yes please!! I want to read all the answers - now! :) But I will try to be patient! Thank you so much for all you share! What a great idea! I'll be looking forward to this. Thanks. Oh Man! I need all this information now. I am getting ready to quilt a top using my walking foot. It will be the first time I have quilted by machine. I don't want to mess this up. I want to encourage this kind of posts. I am at at tipping point, I don't like the way my machine quilts without one, I don't really like to hand quilt things and I don't really like to pay others to quilt the tops that I want to piece. I think I need a walking foot but the bernina one is SOOOO expensive, I want to know that it will make a difference and will be worth the money. Thanks and I'm looking forward to it. I'm so excited for this. Maybe I'll actually quilt some of my quilt tops! Would absolutely love that. I've just upgraded to a new Bernina for the walking foot and am having mixed results. Your advice would be invaluable. Love the sound of all those topics. This will be great. 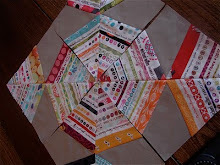 I'm liking the look of the straight line quilting and any hints or tips of wisdom you can share will be great. Thanks so much and I look forward to it. oooh this looks like a fun series! thanks for sharing your knowledge! This sounds awesome! Thanks for even thinking about doing this! I love this idea! I have many tops awaiting quilting because I just get so fed up with the process, so I would welcome some tips and tricks to prevent some of the hair-pulling! I love this idea! I get so frustrated with my walking foot that I've basically put it into hibernation. In other news, your book came in the mail today--so exciting! Great idea...I couldn't do without my walking foot. I can't wait for this new segment, I had been machine quilting "unsuccessfully" for 10 years before I discovered a walking foot. Boy, has my world changed! I am definitely looking forward to Walking Foot Wednesday. I love my walking foot and straight line quilting. I would like to improve my skills. THANKS SO MUCH! Yes, yes, yes! I'm so glad to see this. I am especially intrigued about how you achieve the decorative stitches like used on Urban Garden in the book. It never occurred to me to try a decorative stitch with quilting or a walking foot. If this is possible, you seriously just opened up a giant creative door for me. I want to hear more! This sounds like a lovely idea and I am really looking forward to these posts. 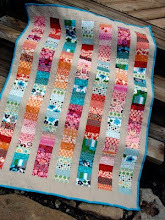 I would really like to do something more exciting with the actual quilting of my quilts and I think this would help. Also - what do you think about using the walking foot to piece? I've heard some folks swear by it, but when I've given it a try, it really didn't work out. REALLY looking forward to hearing what you've learned and will be sharing with us! I've loved my walking foot attachment and use it all the time! Works great! So, my auto clutch pooped out the other day. In a deadline mode I bought a Pfaff 150 Celebration.... built-in walking foot. We'll see. So far I'm happy but haven't tried the W-F yet. Looking forward to becoming better friends with my walking foot! This is just the creative jump start that I need. Thank you so much for your willingness to share your knowledge. Its supposed to be a rainy weekend here, so I think the blog blast will be just the ticket. Great idea. Want to learn more about doing curve stitching with my walking foot. Great idea Jacquie! Can;t wait to follow this. This is brilliant thank you....I haven't had huge success so far so with check in with you on Wednesday! I will watch for your posts. I know the basics but haven't really played with all it's possibilities. I did play with foot pressure recently to see if that would help prevent fabric from being pushed too much and causing tucks or buckles in the quilt. So if you have any tips there, you might share. START THE SERIES NOW!!! Oh-- I will have to wait for each Wednesday? Sounds like a great series-- except for the waiting part. Thanks for doing it! Fantastic idea! I'll anxiously await your Wednesday posts! Thank you! This sounds awesome. I really look forward to learning more from your upcoming posts! Oh Yay! This is such a great idea, I am so excited! I've only begun sewing/quilting this year and I'd love to learn from someone with such experience! thanks so much for this, I'm following your blog to make sure I don't miss a trick! This would be so helpful, thank you so much in advance. I have only tried to do a straight line grid with a walking foot once and at each intersection of stitching I got a huge pucker (so much that the fabric actually folded over and overlapped the perpendicular stitches) so I had to unpick the whole thing and then go back to my standard free motion quilting. Any tips to deal with this would be most helpful. I can't wait! Thanks, Jacquie! I can't wait for your series to start !!! I can't wait for the series to start !!! I love this idea and your proposed topics! Looking forward to it! great jaquie! I have worked with the walking foot a lot, and also teach a workshop and i cannot wait to compare notes with you!